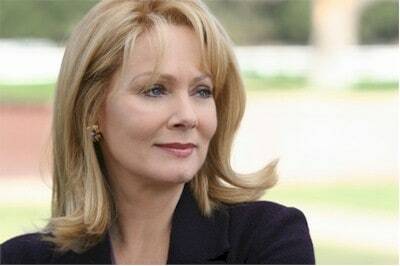 24 should get smart and bring back Jean Smart (Martha Logan) in tonight's final episode of 24, Season 8. After watching Jack Bauer's maniacal serial killings in recent episodes of 24, Jean Smart would add a "proud to be an American" touch to the final episode of the show. President Charles Logan, the former U.S. President in 24, Season 5, has been featured in 24, Season 8 once again, so my question is: Will 24 bring back Martha Logan, now completely sane, in tonight's final episode? This would be a refreshing surprise for 24 fans, as the character of Martha Logan was brilliantly brought to life by actress Jean Smart (who was nominated for an Emmy in this role, by the way, but didn't win, probably due to Hollywood's concept of political correctness). 24's writers and producers made a big mistake when they eliminated Martha Logan from the series. 24 never should have changed Martha Logan (Jean Smart) from a heroic, patriotic, and ultra-conservative all-American first lady in 24, Season 5, into a raving lunatic during a brief appearance in a 24, Season 6, episode. My opinion, as a 24 fan from Day 1, is that the character of Martha Logan (again, due to actress Jean Smart's brilliant performance) offered amazing credibility to the show. In contrast, her husband, former President Charles Logan, was, and has continued to be, a conniving, deceitful man who nobody, whether politically conservative or liberal, would want as a friend, a husband, or the U.S. President. In any case, it is far too late to ask 24 if the show will bring back Jean Smart (Martha Logan) tonight, since the filming has already ended. But I do hope the writers of 24 had enough common sense to end the show with an American patriotic tone, giving fans some good memories to take away with them.